SYLVA Professional Catering Services Limited (SPC) has invested US$105,000 to set up a food processing plant in the country. The processing plant to be set up in Lusaka would enable the company process and add value to food stuffs to cater for the local and foreign markets. Company managing director Sylvia Banda said in an interview in Lusaka that the funds would be used to set up the plant, procure and bring in the equipment in the country. Of the US$105,000, Ms Banda said US$70,000 was used to procure the machinery, while the rest of the money would be used to bring in the equipment and installation.? ?The factory was set for commissioning next week. “Previously we limited ourselves to Zambians in the diaspora, but with the installation of this machinery we think that we will begin to add value to the produce so that it will be consumed by everyone within and outside the country,” Mrs Banda said. She said the company further wanted to take more of the produce from the more than 15,000 farmers it had trained between 2002 and 2013 with the assistance of the World Bank which provided a K2.3 billion grant. Ms Banda said that the grant had assisted the company to undertake various training programmes and purchase equipment to process farm produce bought locally. “We had no intensions of running the factory, but because of the farmers we were training who started supplying the company with various produce and the only way we could offload the produce was through processing it. 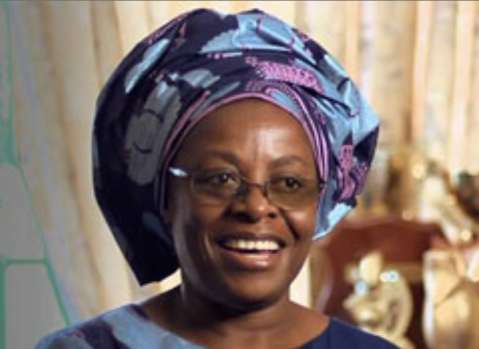 So we ventured into the production of moringa soup, porridge for school feeding programmes, and moringa tea bags which has attracted the international market,” she said. Ms Banda said the factory had the capacity to produce 13,000 sachets of soup and 26,000 sachets of tea bags per day. SPC had been conducting training programmes in all the 10 provinces and had since extended its services to Mozambique and Tanzania in an effort to get more dry products to support the factory. It was also targeting to train 17,000 farmers between 2014 and 2017 in the country and had so far trained 2,300 farmers.? ?This was expected to create more than 30,000 jobs between now and 2017. “So the 15,500 that we have trained already and 17,000 that we will train between now and 2017, we feel that this is the number that will help us run the equipment effectively,” she said. So u hv money? Pay me my july 2009 salary madam,it is jst k650 pls.